When a volcano erupts, spewing molten lava, ash, and smoke, the legacy can live on for days, weeks or even longer in the form of ash falling on the nearby and distant environs. To protect yourself from a volcanic ashfall, you should know the definition of an ashfall, the health hazards associated with falling volcanic ash, and the essentials of volcanic ash preparedness, such as specific recommended dust masks. The information below can help people in Iceland, the UK, the Pacific Northwest, Ecuador, and other regions that feel the impact of these special volcanoes learn to take the necessary precautions to prevent and protect themselves from volcanic ash fall hazards. 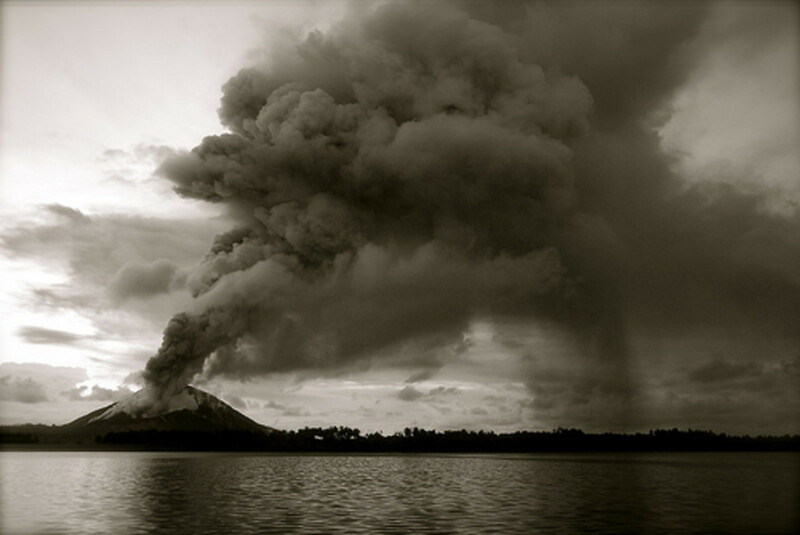 Volcanic ash is released into the atmosphere along with molten lava and smoke during a volcanic eruption. It is a grit or fine dust of abrasive, corrosive glass and rock, with each particle less than 2mm in diameter. When thick in the atmosphere, volcanic ash darkens the sky and can cause lightning storms. Volcanic ash, with its tiny sharp edges, is a health hazard with a similar physical action to asbestos when inhaled in the lungs. Volcanic ash is not all hazard, though. Not just a natural disaster, the falling ash from volcanic eruptions enriches the soil in the surrounding areas, making it very fertile. When a volcano erupts and emits volcanic ash, the ash can travel for hundreds, even thousands of miles. It lands on everything - cars, houses, the ground, people...and lakes, where the acid layer on ash can dissolve and contaminate the water supply. 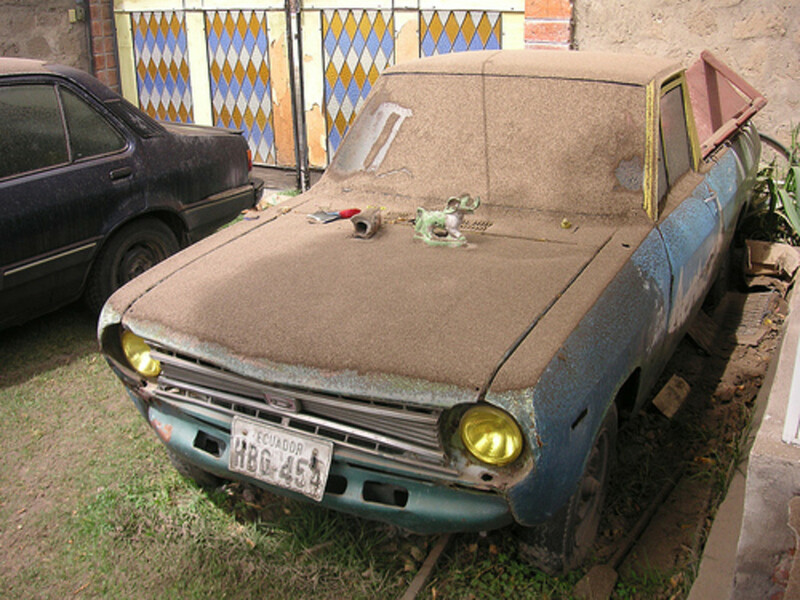 Ash that lands on roads may hinder transportation. Ashfall can lead to power outages, roofs collapsing, communications disruptions, and the poisoning of animals that graze on ash-coated grasses. 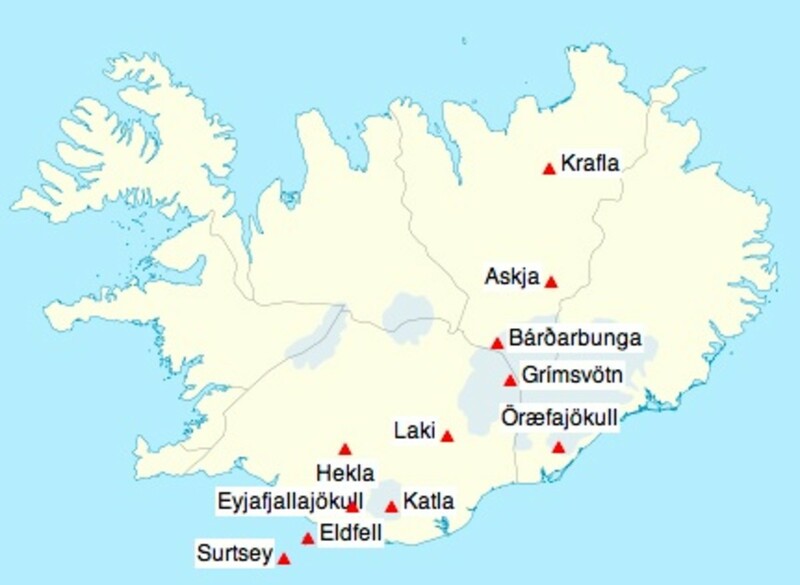 Some volcanoes, such as the volcanoes near the Eyjafjallajoekull glacier in Iceland, Mt. St. Helens, and Mt. Redoubt, spew large amounts of volcanic ash when they erupt. Yet why don't volcanoes in places like Hawaii and the Philippines create so much volcanic ash? The reason has to do with where the volcanoes lie. Volcanoes and hot spots--which are spots where magma continually rises to the surface, such as under the Hawaiian islands, the Philippine Islands and at Yellowstone National Park - are located in two different types of places, over oceanic tectonic plates and over continental tectonic plates. 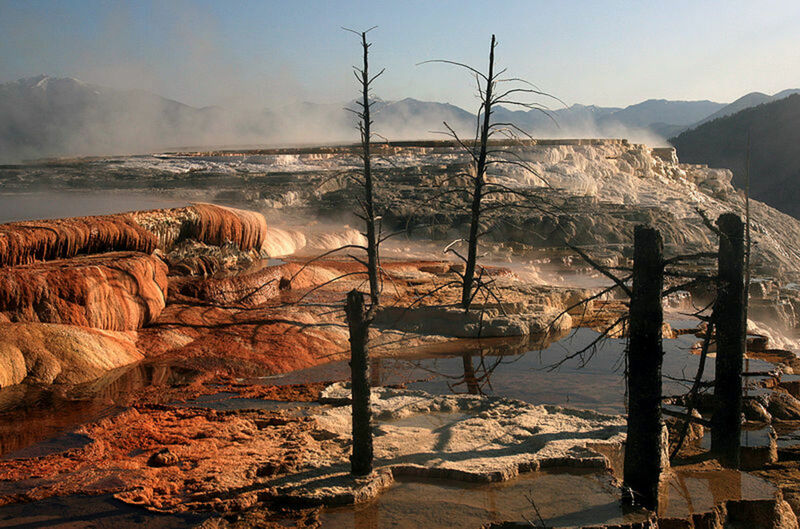 Hawaii and the Philippines lie on oceanic plates, while the Yellowstone "supervolcano" lies over a continental plate. 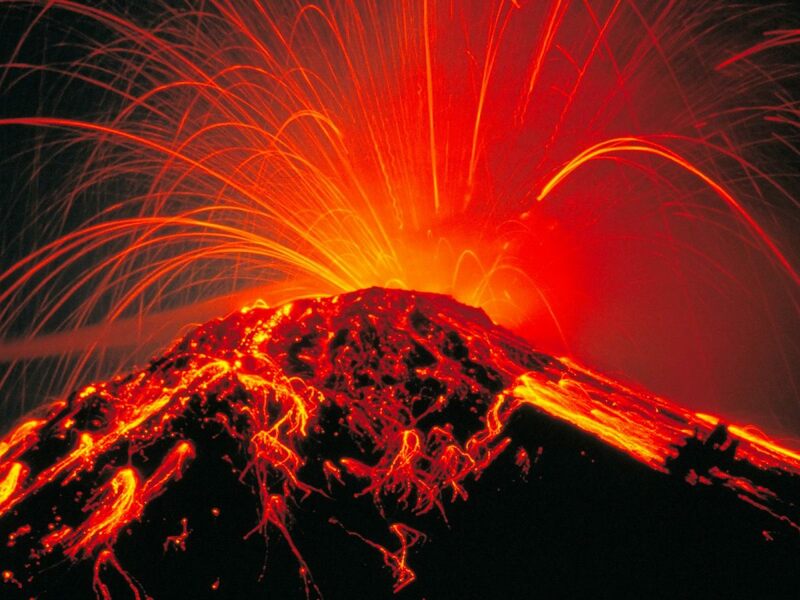 Volcanoes lying over the ocean erupt over the oceanic crust of the earth, while volcanoes lying on thicker, silica-rich continental crust build up a lot more steam and take with them a lot more lava and rock when they erupt...and hazardous ash. The health hazards of ash are real, although usually temporary. Ash, when breathed, can irritate the eyes and the respiratory passages. You may have a dry cough, a runny nose, wheezing, or a bronchitis flair-up. Your eyes may feel irritated or sensitive or swell or tear up. If you breathe ultra fine volcanic ash containing silica over the course of many years, your continued exposure may lead to lung disease. This is relatively uncommon; usually a person's exposure to fine volcanic ash doesn't last long and isn't recurring. However, if you have chronic lung health problems, your risk may be greater. Prepare an emergency preparedness kit ahead of time. An important emergency supply for ashfall preparedness is a dust mask. Here are the IVHHN advisories on the specs for the proper dust masks to use (PDF). When choosing a dust mask, make sure the mask 1) can protect you from the fine particulates of volcanic ash, 2) fits on your face properly, and 3) is used according to directions. Protect your property. Seal up all doors and windows with tape or damp towels. Shut down and cover all machinery and electronic equipment. Remove downspouts from gutters. Protect your loved ones. Get anyone who has chronic respiratory problems to remain inside. Make sure your kids know what to do, wherever they are--consult with their schools for their emergency preparedness plans. Keep kids and pets away from dusty areas of volcanic ash. Try not to drive on roads coated with ash, to protect your car, pedestrians, other motorists and the environment. Avoid tying up your phone lines during an ash fall. After an ash fall, take care when stirring up any ash, even that which fell years ago. Don't sweep or brush dry ash away. It could cause more hazards. Follow prescribed cleaning guidelines to help you clean up volcanic ash safely. If there's an ash fall warning, leave work and go home. When you hear that a volcanic ashfall is occurring, stay inside or seek shelter. Avoid driving. If you must drive, make sure your car has an air filter (even a dirty one), and drive carefully, leaving plenty of clearance between your car and the ones ahead of and behind you. Protect your lungs and eyes. Wear a mask, even inside. 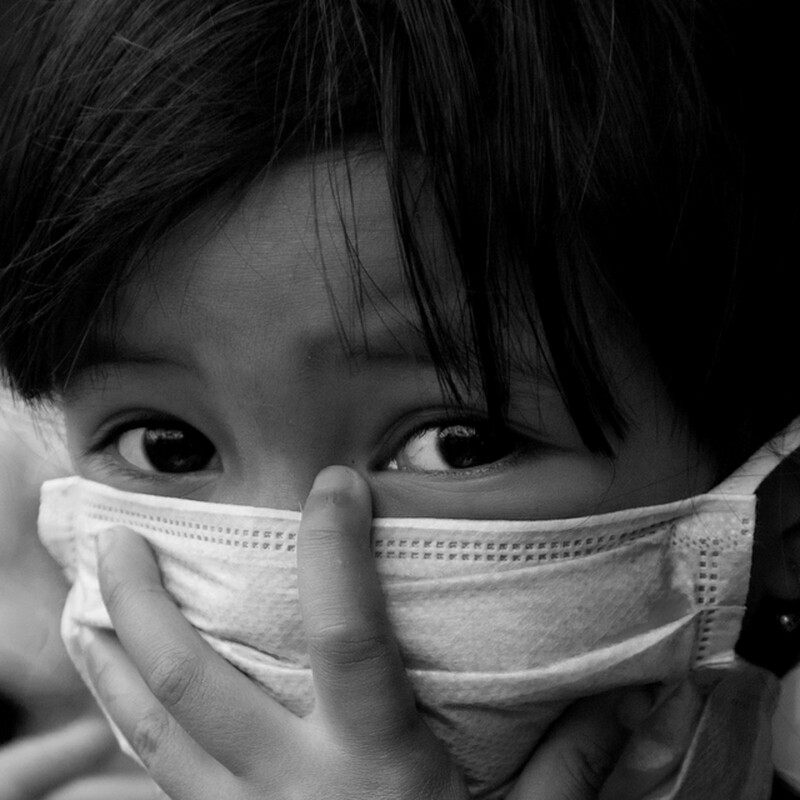 If you don't have a mask, use a cloth to filter out volcanic ash particles. Wear goggles. Remove your contact lenses if you wear them, and use eyeglasses instead. Take care when drinking water during and after an ash fall. Pour drinking water into a container, let it settle, and use the clear water for drinking and cleaning. If it tastes bad, don't drink it. Avoid using any equipment, like a dishwasher, with ash-filled water. The ash can cause damage to surface. Clean up the ash only according to advised methods of volcanic ash cleanup and disposal. This live webcam video at Mount Merapi in Indonesia can be seen in stills that are a little hard to discern. 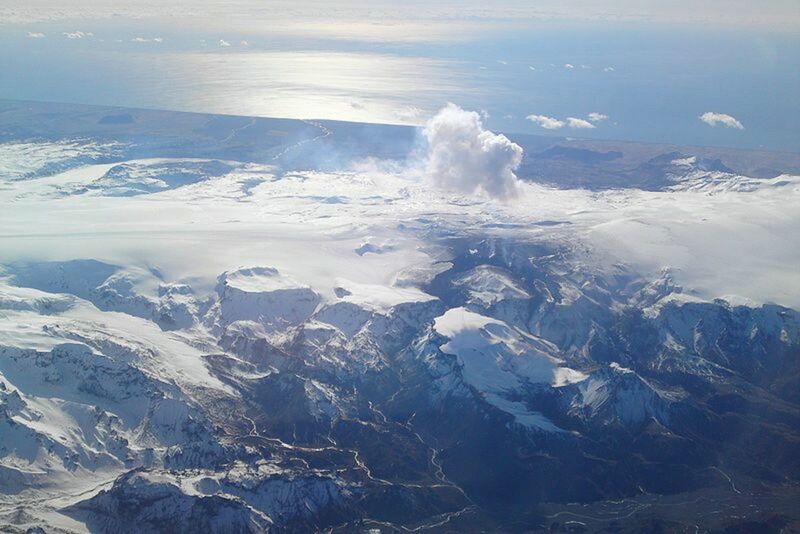 People living in Iceland know that Katla usually erupts following the milder eruptions at Eyjafjallajokull. This webcam has its eye on the dreaded Katla volcano. Mount St. Helens National Volcanic Monument VolcanoCam at the USDA Forest Service. This webcam is at the Johnson Ridge Observatory and updates every 5 minutes. Links to the webcam image from the camera located about seven miles from the crater at the summit at the AVO's Redoubt Hut. The United States Geological Survey has a great page on dealing with volcanic ash. Here is their page on what to do in an ashfall. For information on the world's volcanoes, see the Global Volcanism Program at the Smithsonian Institute or the Michigan Technological University (MTU) volcanoes page. Nice hub and great information about Volcanic Ash. great information. iots really helpful since ash fall can be a serious hazard for those who have asthma and other respiratory disease. Thanks so much! Although I didn't grow up in the U.S. Pacific Northwest, I'm here now and ash is a risk in our area, which is essentially a tectonic free-for-all. Nice informative hub, thank you.